We are a top notch supplier of Belter Machine. Machines are specially design to Heavy Duty the various Job requirements in Wood Working Industries. Machines are manufactured with general. We trade, wholesale, supply and import an exclusive range of Belter Machine. Made with the use of high-grade components and spare parts, these machines are ensured for their high performance by our certified vendors. 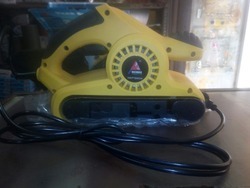 Furthermore, these machines are made available by us in a spectrum of specifications at nominal prices. We manufacture and supply a reliable and cost effective range of Belter Machines that are widely used for designing watch straps and belts. Our machines are known for their smooth performance and efficiency. 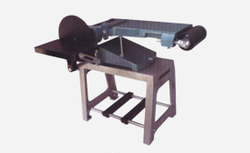 Offering wide range of belter machine. Reflecting the cutting edge technology, these machines are reckoned for accurate functionality and different levels of thickness tolerance. They are provided with anti kick back system. We are amongst the most reputed names in the industry, offering Belter Machine. Our reputed entity is engaged in supplying Belter Machine. Banking on our enriched industry experience, we are able to supply Glass Polish Belter Machine.